Just a few steps away from popular Piedmont Park, the Tenth Street Commons presents desirability in midtown. The property sits just to the south of the park, making it easy to visit area festivals plus local shops and more in the area. The condos of Tenth Street Commons commonly include some upgrades, such as stainless steel appliances and granite in the kitchens. In addition, new buyers can expect to find some hardwood floors in the main living areas of the homes. Other extras include nearby parking with room for grilling, plus some patio space. 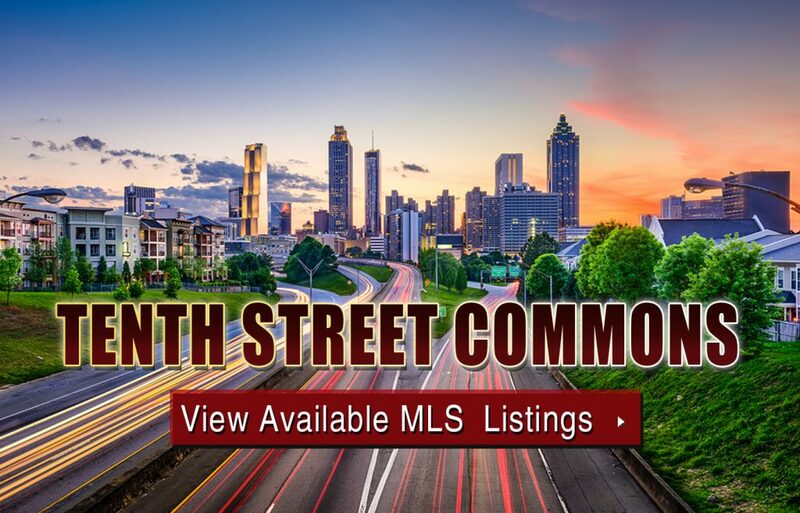 If you’d like more information about Tenth Street Commons condos for sale, give us a call now or take a closer look at what’s currently on the MLS by clicking the link below. Listed below are recently closed sales at Tenth Street Commons Atlanta. Whether you’re thinking about buying or selling a townhouse at Tenth Street Commons, checking to see what other comparable properties have sold for in recent weeks and months provides helpful insight into current market conditions within the community. For more information about Tenth Street Commons townhomes for sale for sale or for a complete list of recent condos sold in the neighborhood, contact The Zac Team today! Can’t find what you’re looking for in Atlanta’s Tenth Street Commons townhouse community? Start browsing other Atlanta real estate for sale or give the Zac Team a call at (404) 564-7200 for help with your new home or condo search today!